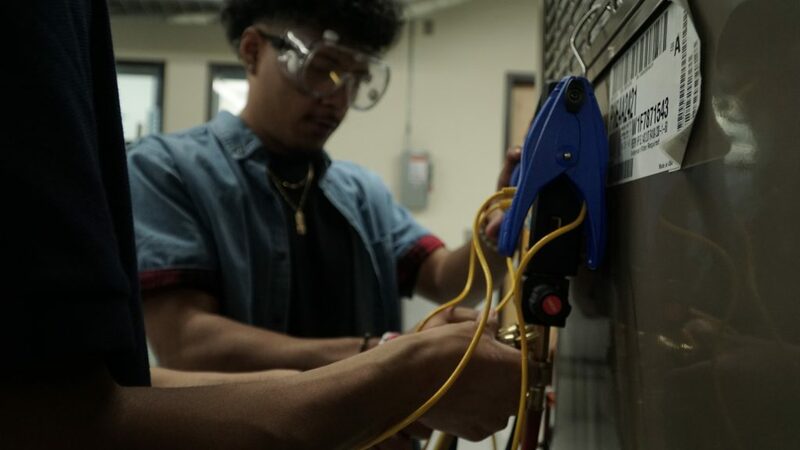 CSN’s newly renovated Air Conditioning Technology Center of Excellence serves as a one-stop shop for students considering careers in this high-demand industry. 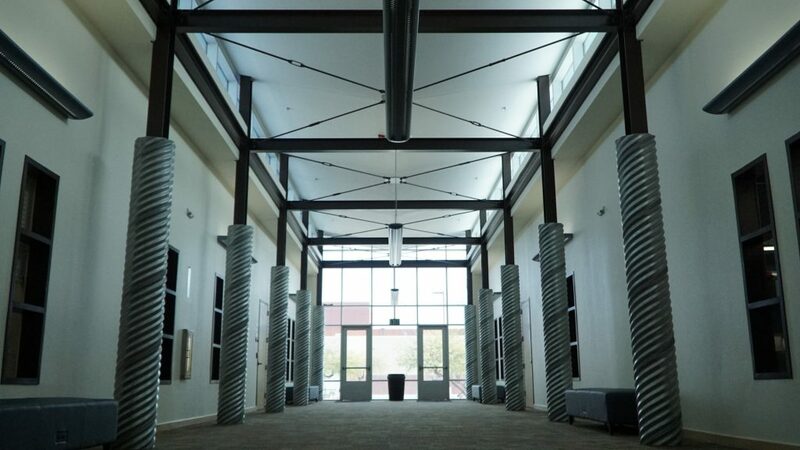 The center, located adjacent to Western High School on Bonanza Road, will celebrate its grand opening on March 1. With four labs, five classrooms and various advising services, an incoming student would never have to travel to another CSN location to finish one of five associate degrees and a host of certificates available at this location. 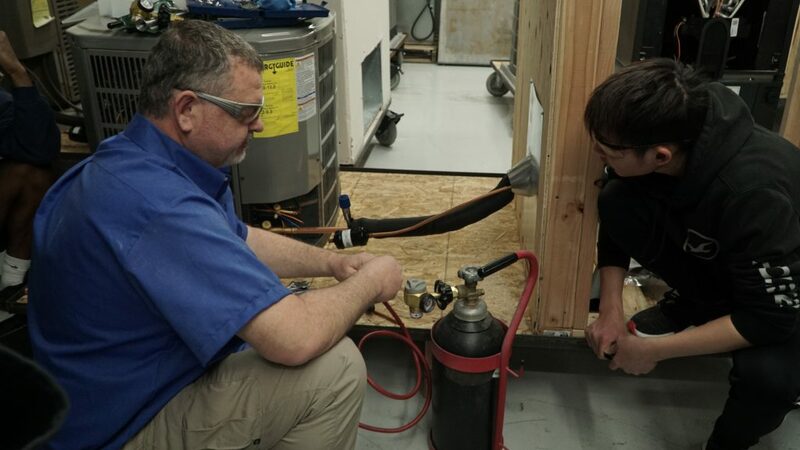 “This is the best lab I’ve seen in the valley,” said Victor Munoz, an employee with Blue Mountain Energy who was on hand last week helping install gas fired-engine driven heat pumps in one of the labs. 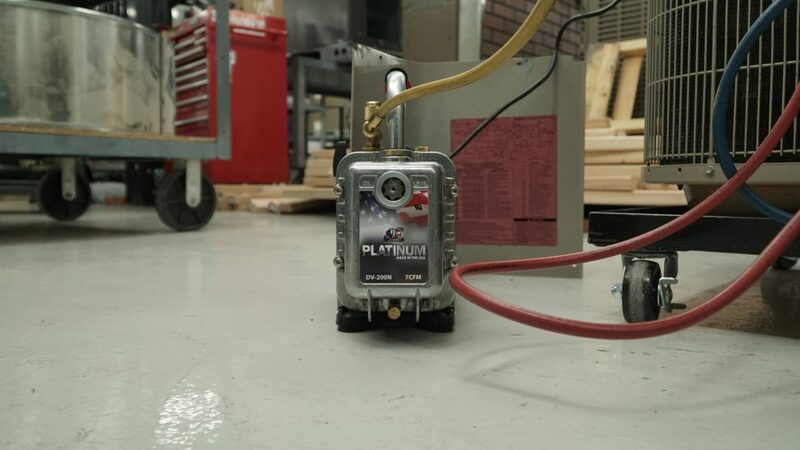 The pumps use new technology and can help reduce power consumption in commercial buildings. Having one of the pumps in the lab is vital for students, who will get to train on the same equipment used in the industry. 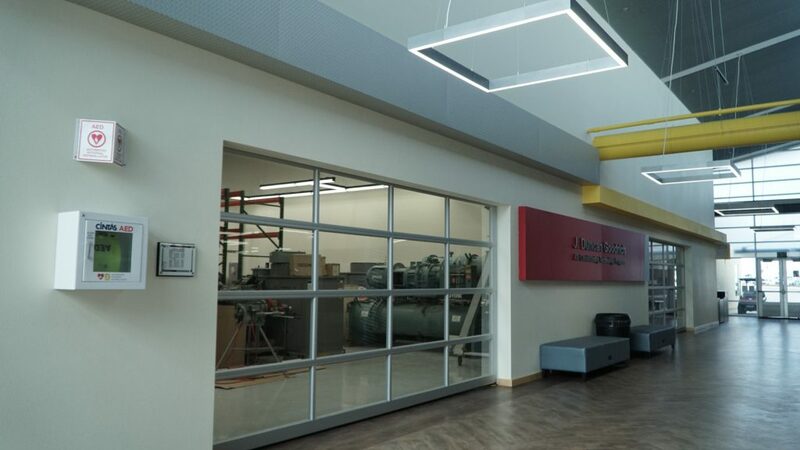 Crystal Naegle, a CSN instructor in the air conditioning technology field, hopes the newly renovated center will help attract more students to the program to help meet industry demand. Employment for trained heating, air conditioning, and refrigeration mechanics and installers is forecast to grow twice as fast as jobs overall. 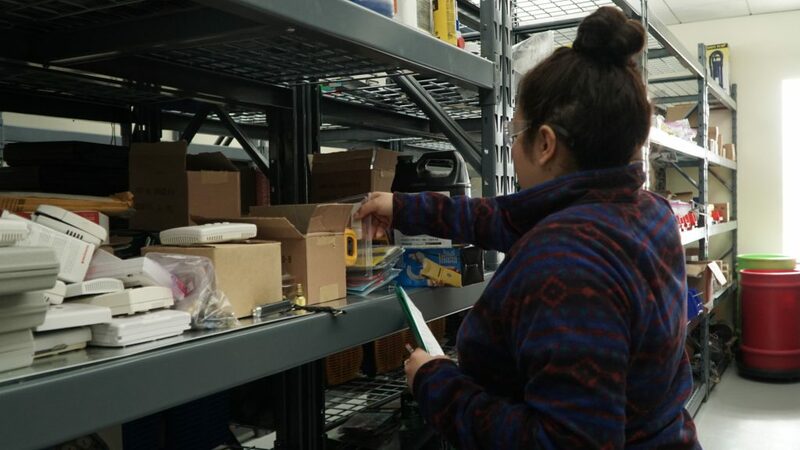 “Now we’re consolidated into one location, we’re centrally located, students don’t have to go to multiple campus to complete one program of study,” she said. 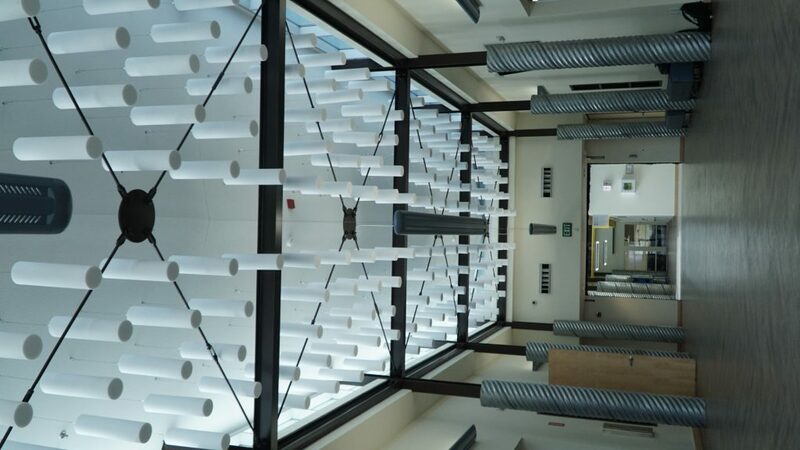 The renovation of the 33,000-square foot space cost about $1.9 million, and was paid for by various career and technical education funds and grants. HVAC courses are available morning, day and night to serve students from all walks of life. About 60 air conditioning technology students leave the program each year and are immediately employed with companies such as Sierra Air, Switch and MGM Resorts. The average hourly wage for these employees in $25. CSN has plenty of space for more students in the program, Naegle said, and the workforce has the openings to hire the graduates. Mike Barton, the Clark County School District chief college, career and equity officer, recently toured the renovated facility. In his capacity at CCSD, Barton aims at addressing issues that may affect student achievement for certain populations while also ensuring all students graduate ready for college or careers. The center also partners with private businesses to provide training for new hires at companies that may not offer the same training available at CSN. Students who enroll can earn two-year degrees in building automation, central plant, critical systems, food service refrigeration or air conditioning technology. Earning additional skills certificates on top of that can help graduates stand out in the job field and command a higher salary.